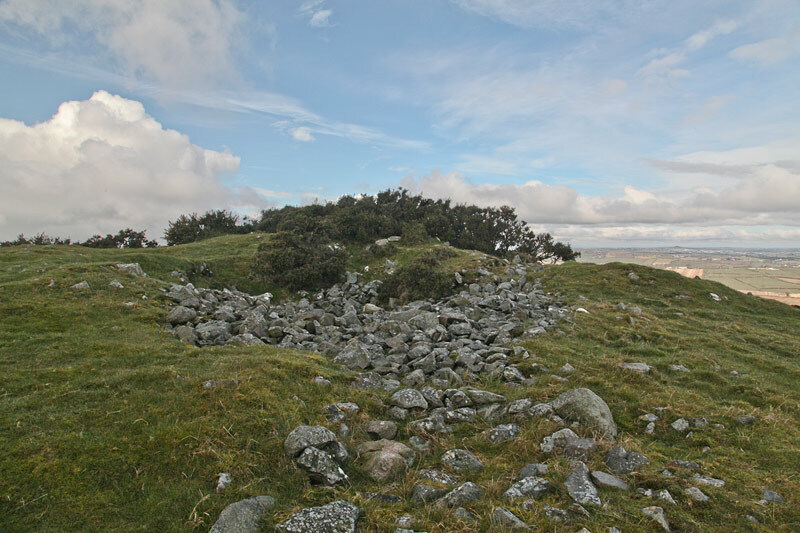 Picture from group : Venerable cairn, varied view. Picture: Venerable cairn, varied view. The lane, which is seriously concreted, is private and the owner lives to the left at the start on the main road. Follow this lane as it gradually changes to a basic track, curling round the summit area, hugh collapsed cairn and trig pillar. This summit rises above the surrounding till and is mostly composed of sandstone. Views from the top are extensive including the Slieve Croob area, the Mournes and various smaller south Down hills. The summit is lucky to have escaped telecoms mast builders - the reservoirs it is used for are relatively neat. Walking up and down will take you 30 to 45 mins.